House with 3 bedrooms, terrace and garden. House is fully equipped to accomodate 6 persons, it's located in 30 minutes walking distance from the center of the city. House has a parking lot, it's very convinient for the travellers with a car. Highly recommend. 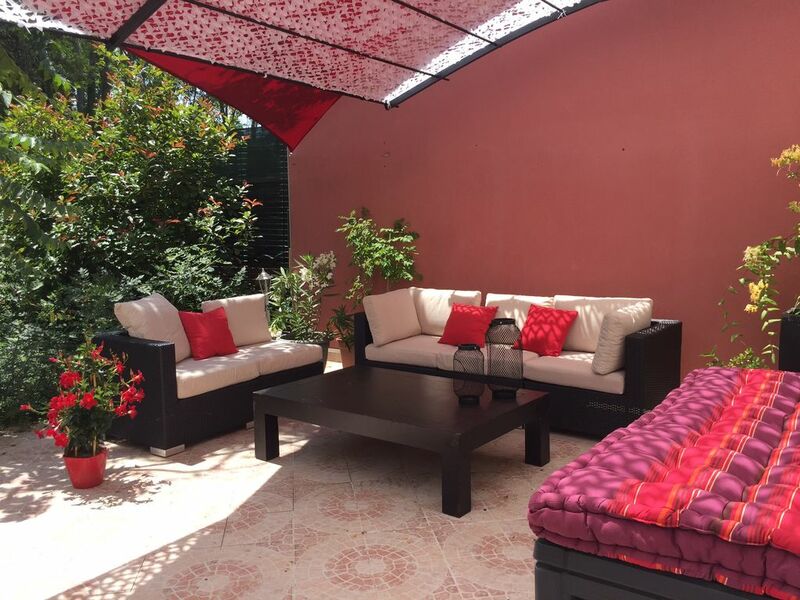 Pleasant good sized property within reasonable walking distance of the centre of Avignon. Pleasant property with plenty of living space and all amenities available. Good location for exploring the surrounding region and within reasonable walking distance of the centre of Avignon. Très bien situé. Très propre. Spacieux. Propriétaire facile à rejoindre. Sans tracas. Très bien situé. Très propre. Spacieux. Propriétaire facilement rejoignable. Tout était parfait. Nous recommandons fortement. Very pleasant home! It was just right for our family and a short drive to town! Our family of six found this home to be quite comfortable, with 3 bedrooms. The master bedroom had a shower and sink. There was a tub sink and toilet in the upstairs bedroom area just down the hall and a bathroom with sink and toilet downstairs. The kitchen was very nice, also. There was a backyard but due to the season, we did not use it. It will be nice for summer visitors. We also were glad of the place to park our car outside the front of the house. Very nice and cozy feel to the home. Plenty of space for the six of us. Bright and cheery. Great kitchen space and we appreciated the BBQ to use for our chicken. Kids all had their own beds as we used the couches in living room as well. Centrally located and easy to find and good parking for our big van! Nice touches inside with plants and candles! Highly recommend this home! Hôtes agréables et respectueux des lieux. Excelente localização. Ótima por contar com estacionamento. Bom espaço.